The Gertrude Herbert Institute of Art runs multiple camps over the summer! In the list below you will find 3 AFTERNOON camps that run from July 22nd to July 26th, 2019 from 1 PM to 3 PM each day. 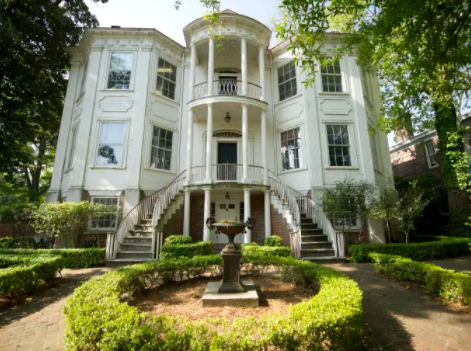 All classes take place at The Gertrude Herbert Institute of Art, on 506 Telfair Street. Students will look at the Japanese bracelet making method known as Kumihimo. Kumihimo (koo-mee-hee-mo) means: braided cord. These braids are fast and fun to make. Student will also enjoy a variety of other activities along with bracelet making and will be tailored to their skill level and interests. Register for this camp online HERE! Students will use nontraditional painting methods to create one of a kind pieces of art in new and inventive ways. This could get messy! While discussing their month’s theme, students will work with clay and air dry materials to create a variety of tiles, relief, and/or sculptural works. Find More Gertrude Herbert Camps Online HERE! In the list below you will find 3 MORNING camps that run from July 22nd to July 26th, 2019 from 10 AM to 12 PM each day. Pencil, charcoal, and color media such as oil and soft pastels are among the materials students will use as they explore both non-objective and realistic artistic interpretation of subject matter. Techniques in freestanding sculpture and relief designs that are meant to be seen from the front will be explored during this session. A variety of techniques such as papier mâché, assemblage, and subtractive and plaster casting will be explored. In the list below you will find 3 MORNING camps that run from July 15th to July 19th, 2019 from 10 AM to 12 PM each day. In the list below you will find 3 AFTERNOON camps that run from Monday July 8th to Friday July 12th, 2019 from 1 PM to 3 PM each day. Students will look at many examples of artists and their work for an inspirational starting point and then see what kind of creations their imaginations can dream up. Students will use nontraditional painting methods to create one of a kind pieces of art in new and inventive ways…all while focusing on July’s theme: Art in the now. This could get messy! In the list below you will find 3 MORNING camps that run from Monday July 8th to Friday July 12th, 2019 from 10 AM to 12 PM each day.